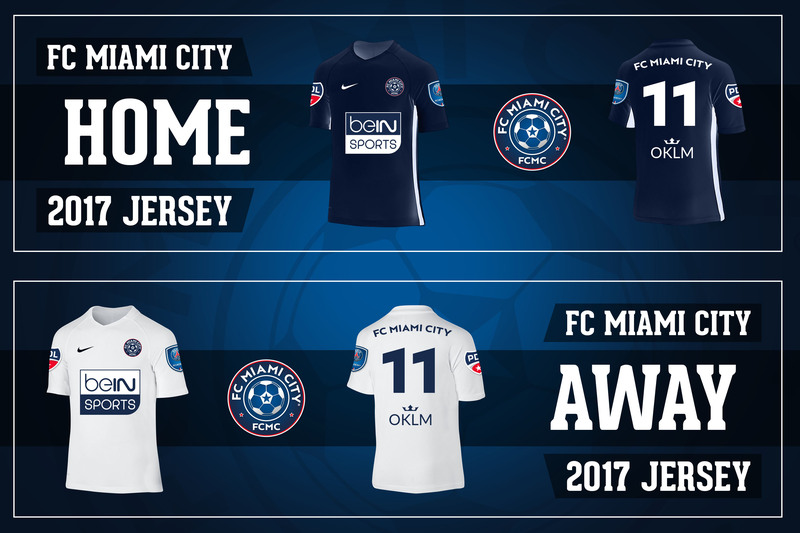 MIAMI.FLA – Today, the FC Miami City unveiled a new uniform system ahead of the 2017 season, featuring the team’s recently new partnerships. 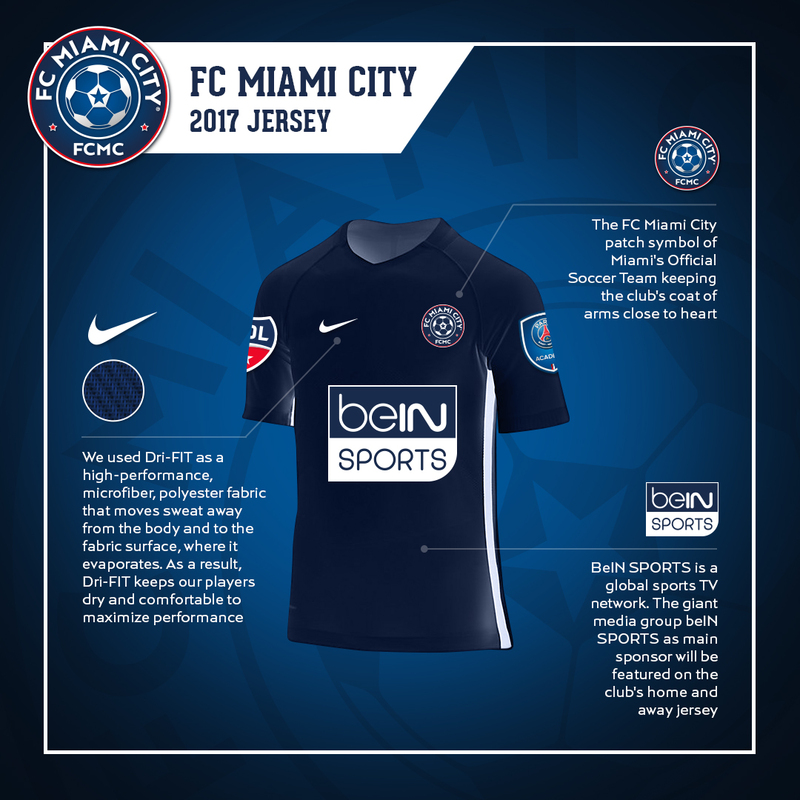 With a focus on using technology to enhance the fan experience, the Champions debuted the uniforms in an interactive and innovative way using their social medias to tease the community. 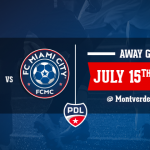 In all serious, FC Miami City does have one of the cooler color schemes in the PDL. The two new uniforms - home and away - showcase updated emblems and a refreshed color palate. As you can see, the classic Blue, worn last year for the first time will return this year again. 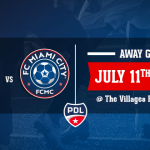 The City boys will wear their blue jersey at home the most, as usual, during the 2017 season, donning them in seven games. 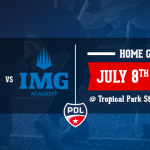 The white jersey will be wear seven times as well, and probably during primetime home dates. 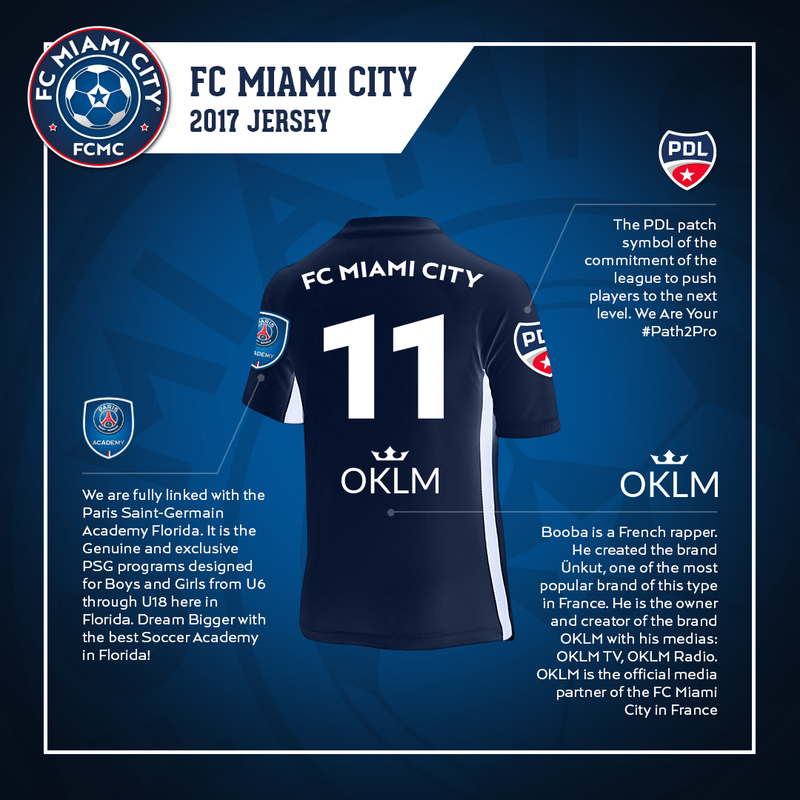 It will return as a part of the team’s ongoing salute to the origins of the Club.